Cheese, Chocolate, Alcohol… eat, drink and enjoy with DAOSiN! Try DAOSiN® today - a new, natural, hypoallergenic dietary supplement for histamine- induced food intolerance. 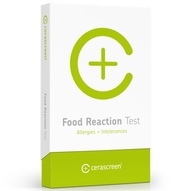 Histamine is a chemical that occurs naturally in certain foods. Foods high in histamine include cheese, chocolate and red wine. Other foods act as histamine-releasers, causing the body to release its own histamine in the small intestine. See a list of foods high in histamine and those which act as histamine-releasers here. We all have an enzyme called Diamine Oxydase (DAO)which breaks down the histamine we absorb from histamine-containing foods so that it does not affect us. 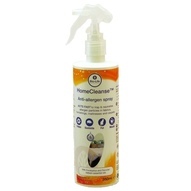 But if you have a low level of this enzyme you may suffer allergy-like symptoms such as headaches, rashes, itching, wheals, diarrhoea, vomiting or abdominal pain or cramps. This is called histamine intolerance. Some studies suggest there is a link between histamine intolerance and asthma, eczema and urticaria, anxiety and panic attacks. Many people who suffer from migraine are histamine intolerant. 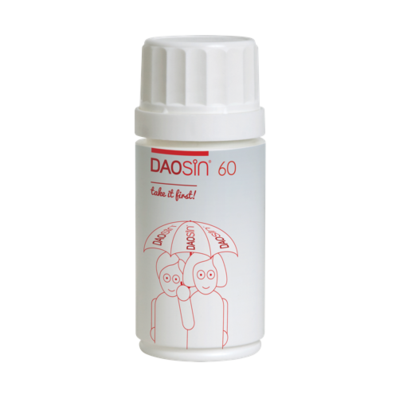 New natural DAOSiN has been specially developed for people with low levels of Diamine Oxydase to supplement the body’s own DAO. So you can eat histamine-rich food or foods that trigger the release of your own histamine without unpleasant reactions. DAOSiN is lactose and gluten-free and suitable for diabetics. It comes in plastic bottles of of 30 capsules, 60 capsules or 90 capsules. You simply take one capsule of DAOSiN with water before meals (we recommend before breakfast and evening meal). This increases the amount of DAO in the small intestine so that foods that contain irritating histamine can be processed in the digestive tract, the natural levels of histamine in your body are re-balanced and symptoms are reduced. Safe to use during pregnancy. 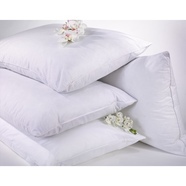 Other ingredients: Daosin® beadlets [microcrystalline cellulose (plant fiber), sucrose, ascorbic acid (vitamin C), rice starch, acid-resistant coating, hydroxypropylcellulose, polyvinylpolypyrrolidone, hydrated magnesium silicate, corn starch, carboxymethylcell-ulose, glycerol], hypromellose (vegetable capsule). Suggested use: As a dietary supplement, take one capsule of DAOSiN before breakfast and evening meal. 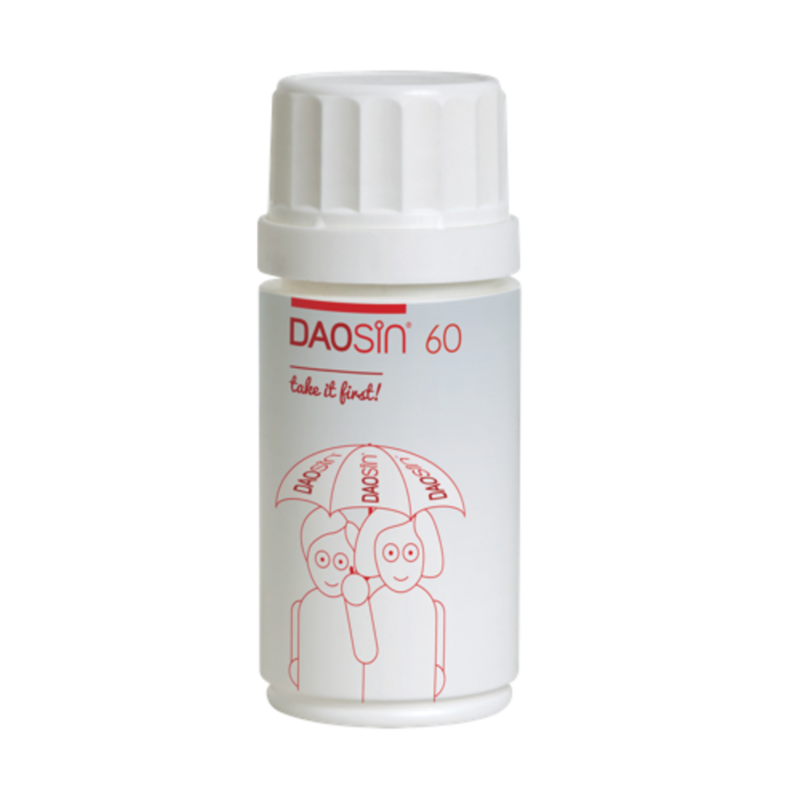 Daosin is safe for children old enough to take capsules without choking. Younger children can take the contents of a capsule mixed in a little water but the product is most effective if taken as a capsule. 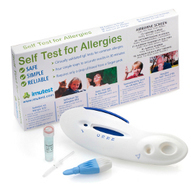 Allergy Best Buys. All rights reserved. Sign up for our newsletter to receive updates on allergy advice, great offers and new products and get 10% off your first order!